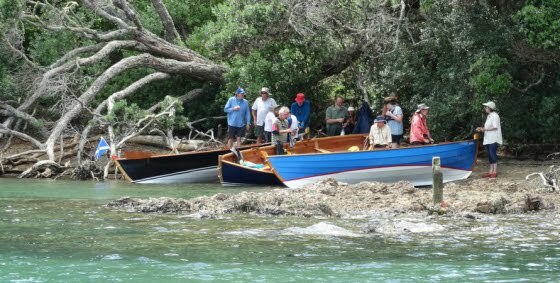 'The Kiwi Raid 2018 is to be a St Ayles skiff event based at Gt Barrier island 18-25th February 2018. The Raid will be based out of Orama Oasis in Karaka Bay and will be a week of exciting day trips including The broken islands, Katherine bay, Smokehouse bay, Mt Hobson walk and the Kauri dams, Glenfern sanctuary, plus fishing and swimming and maybe a pure white beach or two to lay on. Accommodation will be camping although Orama do have other options available and meals provided.